Bryant Park Blog: What's the Story, Morning Glory? The movie stars Rachel McAdams as the producer of morning news show, Daybreak, and Harrison Ford as the show's reluctant co-anchor. You can watch the official trailer here. 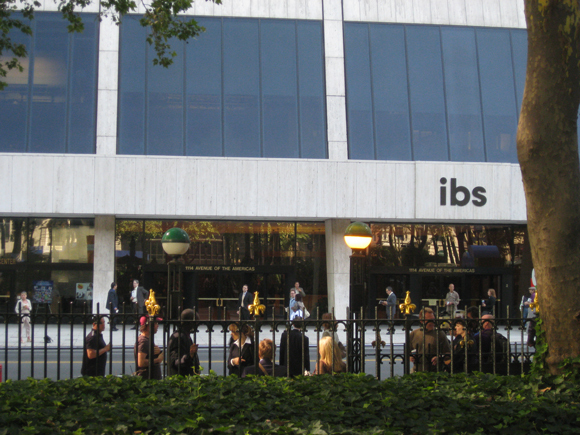 Morning Glory's location scouts wanted to create an authentic New York City work environment, and chose the Grace Building for the headquarters of the film's fictional TV station, "IBS". And where do authentic Grace Building office workers spend their lunch breaks? 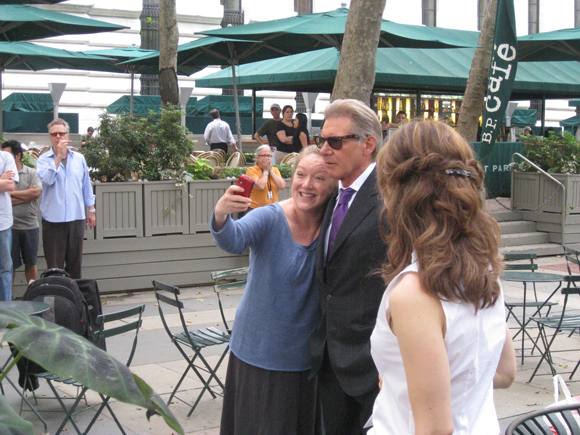 Bryant Park, of course!